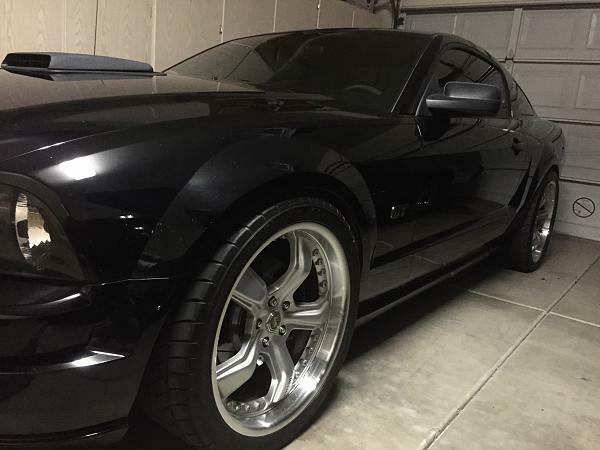 Turning the Mustang into a track car so I'm going to run a set of 18" wheels I have, time to get rid of the street trim. 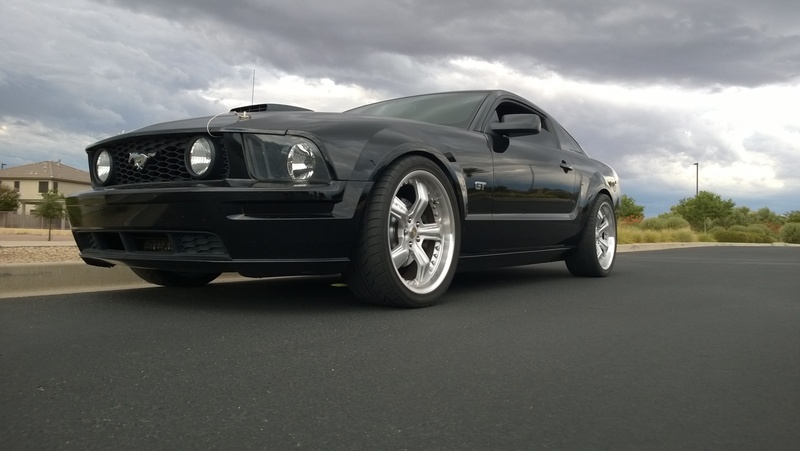 Set of 4 Shelby Razor wheels in silver, 20x9 with 24MM offset, Nitto NT555 265/35/20 tires all around. The tires aren't completely worn, maybe have about 10K miles left? Car doesn't get out of the garage much, so the tires have some cracks in them as well. Happy to send a bunch of pics close up to anyone interested. In other words, buy the wheels, get some tires that will suffice for a while. Includes lug nuts and one locking lug nut per wheel. No curb rash, finish on the wheels is perfect. Car is completely garaged, not a DD. Center cap plastic coating has yellowed a bit, like all of these wheels. Pic of the car in the garage is from 20 minutes ago. 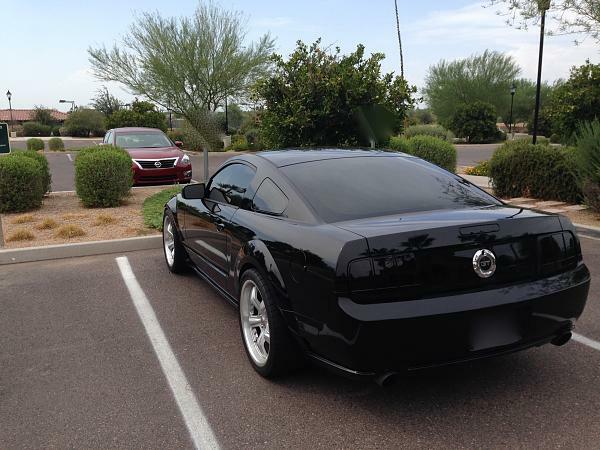 $750 OBO, shipping not included - located in Phoenix, AZ area. Cut you a better deal if you pick them up. Last edited by azoufan; 3/25/15 at 12:31 PM. Uhhh, what did I do wrong? 140 views and no responses. Did I price these so high that everyone thinks I'm on drugs (I'm not, for the record... )? Try listing them on ebay with a best offer option. You will get a lot of responses there. And also list them locally on craigslist. List them over on Team Shelby Forum. They will go quick. The silver Razors are harder to find. American Muscle carries the Chrome and Gunmetal versions, but not the silver. How much would shipping be? I'm in 94577. Willing to meet halfway too, if you had the time.